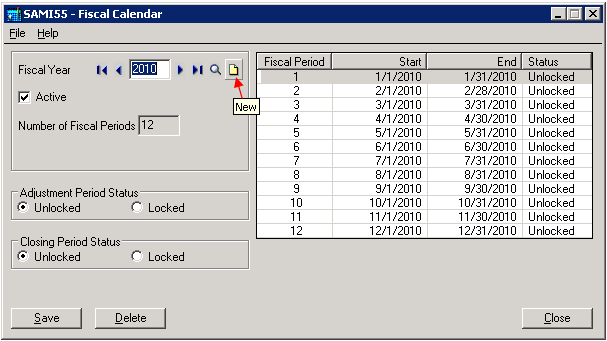 If you are a calendar year, do you have Year 2010 created in Sage Accpac ERP yet? Go into Common Services -> Fiscal Calendar to create a new year for 2010. Simply click "New" button and 2010 will be created. This does not move your General Ledger forward but it will allow you to enter transactions in the new fiscal year in all the other modules. We will be conducting a "Sage Accpac Year End Procedures" webinar session on Wednesday, Dec 16th. This session will cover everything you need to know to prepare for Year-end processing in Sage Accpac.